By choosing to portray the estate as it was during 1799, Mount Vernon inherently interprets both the life and the December 14 death of George Washington. 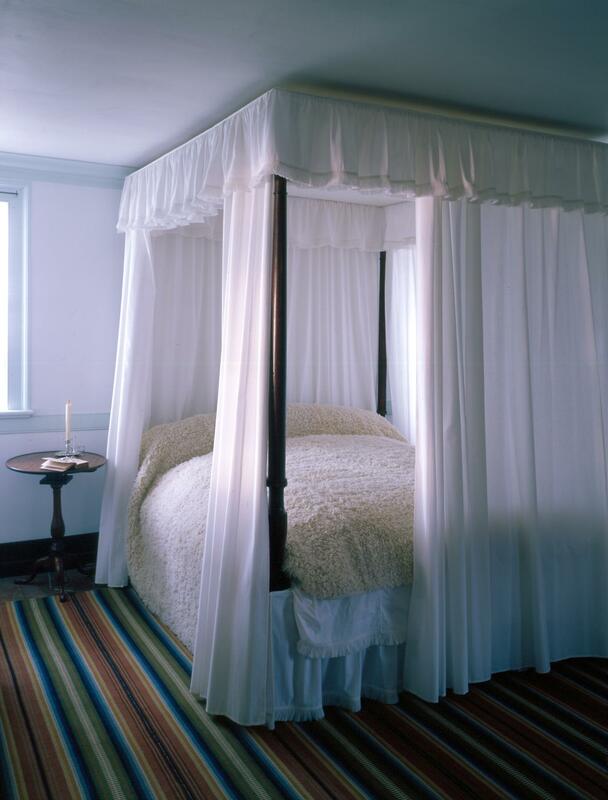 As much as the lives and lifestyles of the Washington family fascinate visitors, learning of the poignant circumstances of our first president’s death offers them an additional insight into their personalities. Last December, to commemorate the 215th anniversary of George Washington’s death, Mount Vernon offered a new tour that focused exclusively on this tragic, but enlightening period. The proceedings proved so popular that they will be expanded into a new, large-scale public event in 2015 and beyond. Following this same line of thinking, some of the most meaningful new acquisitions to Mount Vernon’s collections include documents tied to the period of Washington’s passing. 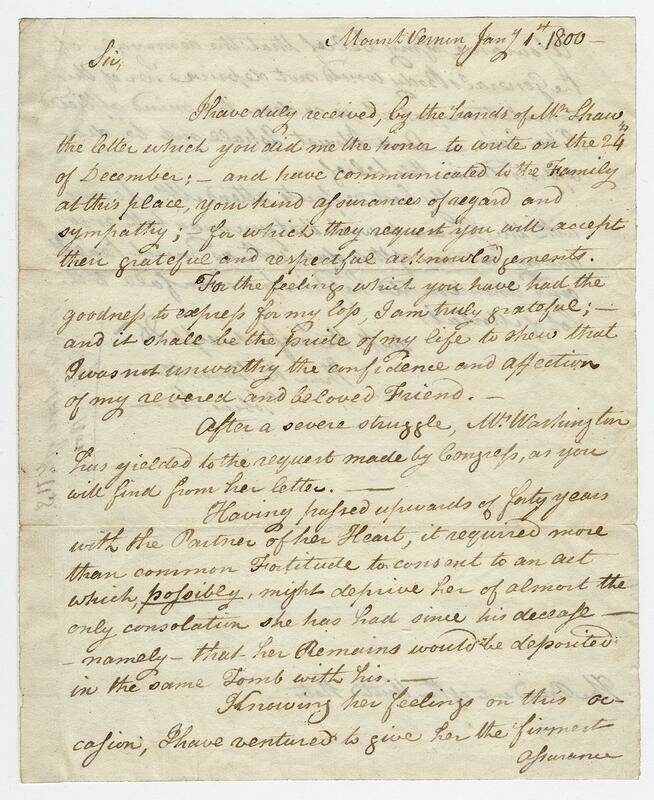 These three letters written by Tobias Lear, Washington’s friend and personal secretary, expresses sentiments both official and personal—correspondence of his own and on behalf of Martha Washington. The first letter, dated December 15, is part of a series of official notifications that Lear penned to friends and family, telling them of the sad news. This example was sent to Burgess Ball, a fellow Continental Army officer and a relative of Washington’s through his maternal line. 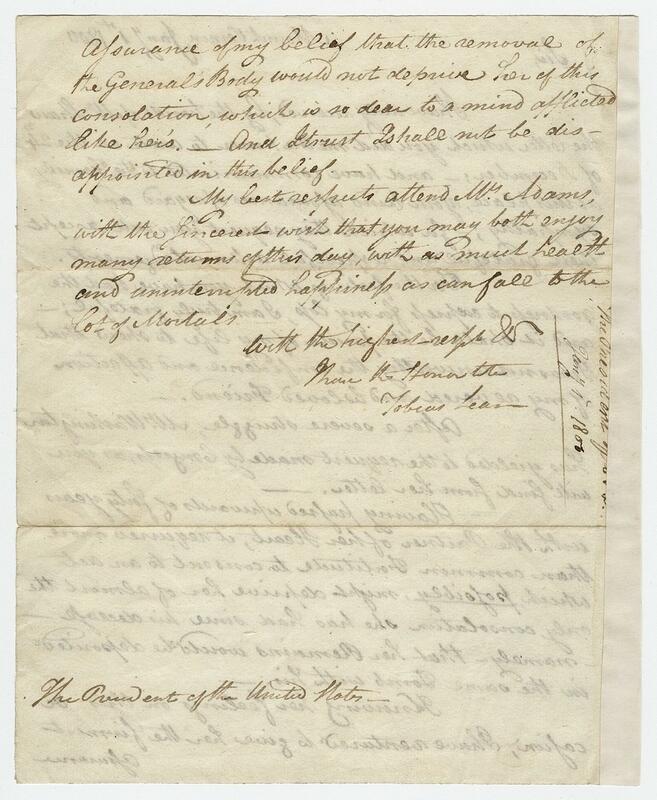 The other letters are a coordinating pair addressed to President John Adams related to the Congressional request to inter Washington in a mausoleum built into the new Capitol building. 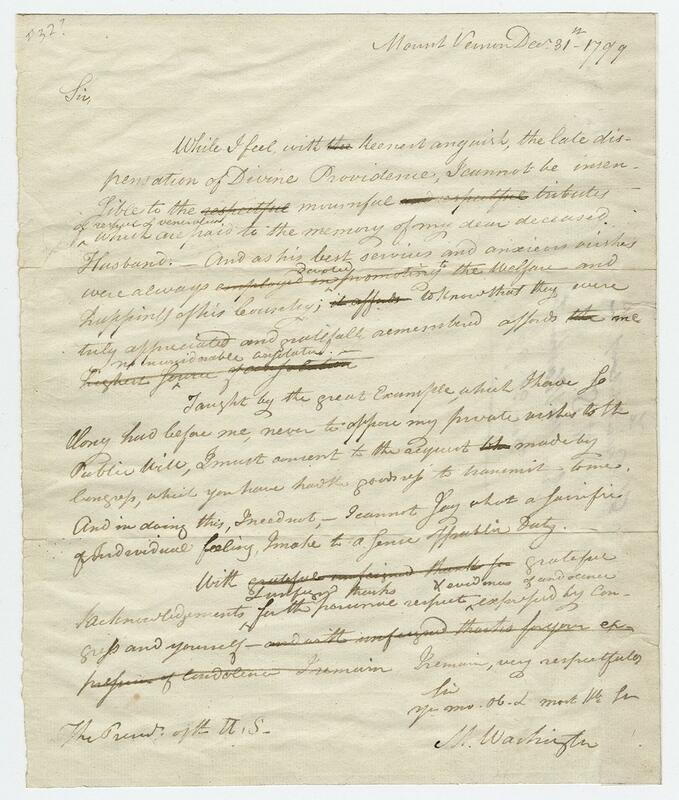 In the draft response to this proposal, dictated by Martha and recorded in Lear’s hand, the new widow demonstrates both her profound grief and the delicate balance that she now was forced to maintain between her personal wishes and those of the nation. In the end, Martha Washington decided that the public need was greater than her own, and consented to allow her husband to spend eternity with the people. She did, however, request that after her own passing, she be allowed to join her husband of four decades in burial. It was a plea that Lear told her would undoubtedly be answered—an instinct that he told Adams in his personal letter he hoped fervently would be proven correct. 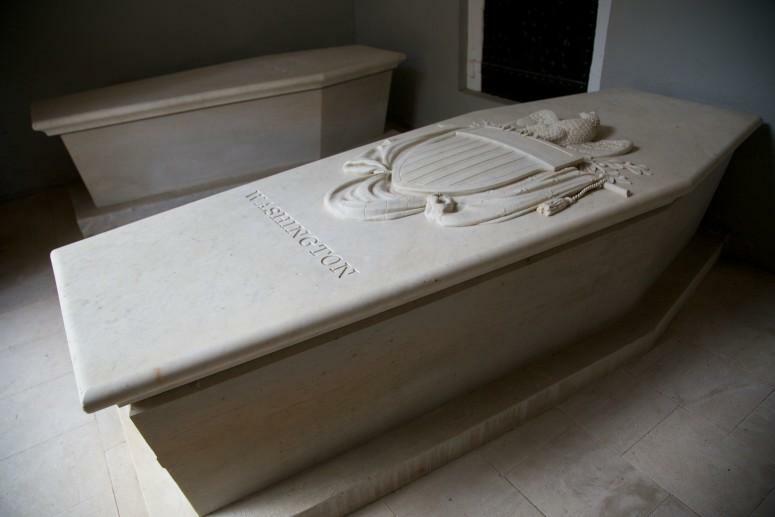 Although the condition was accepted, Washington was never moved to the Capitol and remains buried on the estate. These new acquisitions will enhance the way that the story of Washington’s death is presented at Mount Vernon. As the 216th anniversary of Washington’s death approaches, the estate’s history interpreters will look for ways to incorporate the new acquisitions into public programs and digital outreach initiatives. To mark the anniversary of Washington’s death, Mount Vernon will debut a new program in December 2015. Guests will be guided by candlelight to the Mansion. At the Mansion, following a non-traditional route, they will meet members of the Washington family and those who experienced his passing first-hand. Through direct quote and fact-based interpretation Mount Vernon guides will give a holistic narrative of Washington’s passing and the immediate aftermath. After their tour, guests will be guided by candlelight to the Tomb for a meaningful candlelight wreath laying and tribute. Walking tours focusing on the death of George Washington will also be offered during the day, December 12-14. Throughout its history as a cultural shrine, Mount Vernon has been the site of numerous visits from prominent politicians, heads of state, and world leaders.